Wheeler Service Inc. is proud to serve the Coalmont community! 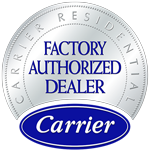 About Coalmont, TN - Happy to be your hometown Heating & Air Conditioning Contractor! Coalmont, located in Grundy County, has a population of approximately 900. Rich in history, Coalmont has a couple of listing on the National Register of Historic Places, one of which is the Coalmont Bank Building. Coalmont is a nature-lover’s delight. 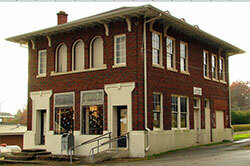 Situated in a very rural area, Coalmont is a little over an hour northwest of big city Chattanooga. Coalmont has affordable housing in a beautiful natural setting, and a crime rate that is far below both the state and national statistics in every available category. Coalmont Elementary provides a high quality of education to students in grades K-8. High school students attend Grundy County High School. Mary’s Country Kitchen provides a pleasant dining experience. Elaine’s Flowers and Creations offers the best bouquets and flowers around. And the L&L Mart provides a small hometown feel while shopping in person, while Tiffany’s Online Mall, based in Coalmont, provides online shopping which includes a variety of items, including those for the family pet. Those looking to find a good read, event, or activity can head on over to the Coalmont Public Library. The weather in Coalmont is mild, but seasonal, with cooler winters, warmer summers, and average annual temperatures in the low to mid-sixties.